Create an interior experience for your customers and clients that is free of jarring noises and disquieting echoes with our acoustic ceiling tiles in Annapolis, MD. The team at Couser Supply, Inc. offers a full range of acoustical ceiling tiles for new clients and existing businesses that are planning an expansion. Make the most of your next renovation project by purchasing our competitively priced acoustic tiles right away. Schools and healthcare centers have long understood the benefits that come from rooms equipped with sound-dampening ceiling tiles. Our tiles are essential for anyone looking to create a room where clear communication is critical. After a full evaluation of any room you are remodeling, our team can recommend the right size tile for the level of sound absorption you are looking to establish. Maximize the efficiency of your workforce by reducing the level of needless noise pollution in your offices. Our selection of these tiles includes the colors and patterns you need to match your overall design plan. Establish an interior that your employees will look forward to working in with the help of our acoustic ceiling products and safety enhancements. Once you have decided on an office space to call your own, the process of building out that interior begins. Before you decide on the colors, flooring, and furniture in the interior décor, talk to one of our specialists about acoustical ceiling tiles. Depending on the size and sound qualities of your new office space, you may need to invest in this essential product. Consider the personal experience of everyone that works for your organization, and how vital it is that they be able to communicate clearly. Our ceiling tiles help you to control the sound pressure, reverberation time, and speech intelligibility in your office space and that can make a big difference to those who work for you. Instead of forcing your employees to strain in order to be heard, they can now speak clearly to one another without getting a headache. 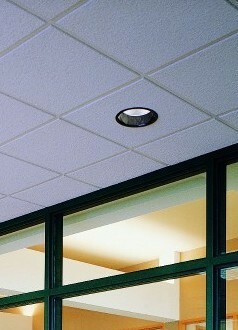 Build out a better office space with the help of our value-added acoustic tiles. Depending on the look and level of customer access you give your clients, our selection includes the color and pattern that matches whatever approach you are looking to take. Give potential clients the assurance they need that conversations will remain private with our advanced acoustical ceiling products. Schedule a consultation today, and learn more about how our commercial acoustic ceiling tile can make your classroom a more productive space. Contact us today to purchase the most advanced acoustic ceiling tiles for your office, and enhance the level of sound absorption in any room. We proudly serve customers in Annapolis, Maryland, and surrounding communities.